Your health is a wealth that we treasure. We will strive to provide you the right care that suits your needs. Our dedicated staff members are always ready to serve you. Administer medical care services by professional nurses. 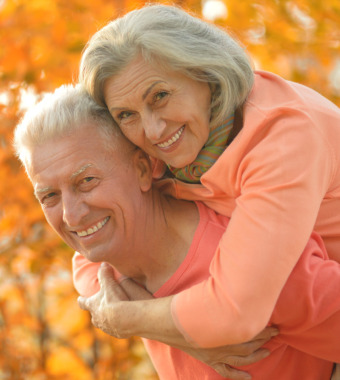 Provide services to restore client’s physical mobility. Deliver assistance to individuals to live independently. Help customers to improve communication skills. Give assistance in basic health-related services. We make sure to give all available care for you. Check them out. 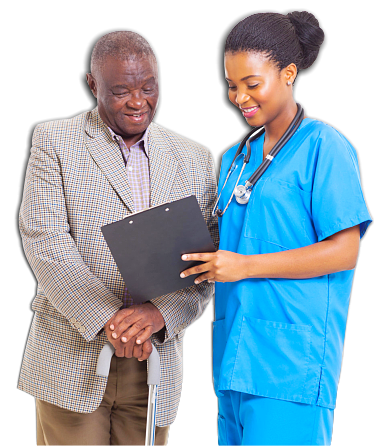 As a proud local provider of quality home health care services, we at ASAP Services have put you and your health as our top priority. With our goals in mind, we look forward to having the opportunity to provide you the proper quality care that you deserve. Alongside the attending physician, our qualified and certified professionals plan, coordinate and provide care tailored to the changing needs of our clients. 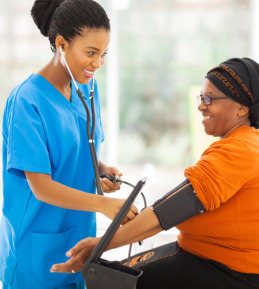 Registered nurses provide a broad range of nursing services based on a thorough assessment of the client’s health care needs and development of an individualized care plan. Examples of services provided include skin care, medication management, diet, nutrition management, and care focused on a particular diagnosis. Physician orders and efficient care coordination are integral aspects of nursing services. Licensed Practical Nurses assist with rehabilitation, dressing changes, oxygen administration and medications, and offer services as catheter care under the supervision of an RN. A Physical Therapist manages and provides skilled physical therapy to patients/clients with a wide variety of diagnoses and disabilities in a home setting in accordance with a physician’s plan of treatment, taking into account individual patients’ special or age related needs. Occupational Therapists perform therapeutic exercises and instruct in activities such as meal preparation, toileting, and grooming. Occupational Therapists also assist with energy and endurance problems, and address equipment needs such as grab bars. Self-reliance is always a goal. Speech / Language Pathologists provide treatments to improve speech, swallowing, communication, and problem-solving skills. Often applied with other therapies, speech therapy significantly contributes to stabilization and recovery. 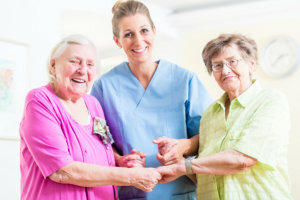 Home Health Aides provide personal care to clients who need assistance at home. This usually covers activities of daily living, mobility and meal preparation. Home Health Aides can also be assigned for Respite Care assignments to temporarily take over family caregiver duties.